For Nigerians, having Biafrans participate in their “monkey” elections has always been a win-win situation for them. 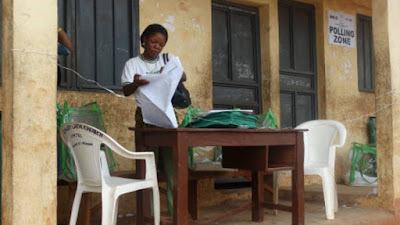 But for Biafrans, participating in the elections has always been all-round lose, even though many of them do not realize it. The chief of what Nigeria has always achieved, each time Biafrans vote in their elections, is the foisting of supposed leaders who are subservient and beholding to the Northern oligarchy. By doing this, they were always able to manipulate and used the “elected” leaders in Biafraland against the interest and cohesion of their own people. In fact, it is pertinent here to note that Nigerian elections in Biafraland have never been about electing somebody the people want to represent them. Rather, it has always been about the selection of the best stooge and quisling material that will work against the interest and cohesion of their own people, the Biafran people. This is what happens: Before elections take place in Biafraland, the Nigerian power cabal (the Northern oligarchy) usually advises the candidates to seek clearance or endorsement from them. But where any of the candidates refuse, not mount much pressure is mounted because it is not at that point that the real screws are tightened. The real manipulative screws are tightened after elections are held, and the electoral umpire has declared the most promising stooge as the winner. It is at this point that the manipulative screws of the Northern oligarchy are tightened securely. This is when they use their agents to advise the loser or losers to challenge the result in court. Once this is done, then the contestants – both winners and losers – go into panic mode. They begin to make moves to contact those that would help them scale the courts’ huddle. By doing so, they begin to make commitments; tying themselves to oaths and concessions that would make them permanent slaves to the North. This is why whoever is eventually selected and declared as the true winner of the election, by the courts, would certainly be the weakest in terms of standing for his interest and cohesion of his own people, the Biafran people. Either of two scenarios always plays out. 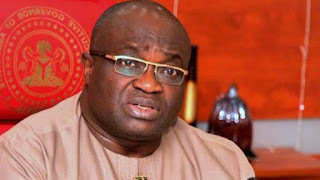 The first is that the candidate already declared as winner may fail to make better concessions to the Northern establishment and gets abandoned through the courts; while the loser is instated. The second is that the loser fails to make better concessions and is dropped while the winner is finally endorsed as the true winner. The first example is seen in what happened between Chris Ngige and Peter Obi in the Anambra State governorship election of 2006. 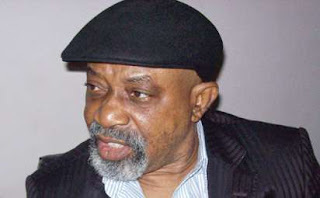 Ngige was declared the winner, and he set about reconstructing the state and doing a good job of it. But because he refused to succumb to the pressure to massacre Igbo-Biafran youths under the aegis of Movement for the Actualization of the Sovereign State of Biafra (MASSOB), he was removed. Obi who agreed to all the conditions given to him, was announced the winner through the courts. And it did not take up to three months after that announcement that he told Nigerian Army, Police and Navy to “shoot at sight” anyone claiming to be Biafran. What followed was the repression of Biafran youths that left nothing less than 2000 massacred all over Anambra State, mostly in Onitsha and environs. Those they abducted, who they could not kill out-rightly kill, were eventually suffocated in Police cells and their bodies dumped floating in Ezu River. Obi was able to teach Willie Obiano, his successor, well on the business of killing his own people to please the Northerners. 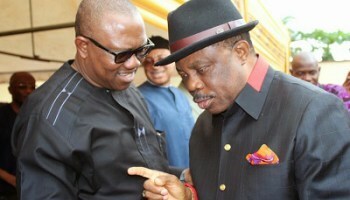 Obiano went beyond his state by hosting the Army that killed more than 81 people in Abia State. reports indicate that he has finalized plans for another bloodbath of Biafrans during the coming Anambra governorship election of November 2017. The second scenario is what happened in Abia State after Okezie Ikpeazu was announced the winner of the election in 2015. He was challenged in court severally, but because he made better concessions than others, he was retained in the position. Part of those concessions was the massacre of Biafrans in the state. First was that which took place in a secondary school in Aba, 2016. The second was that which took place in September 2017, when he invited the Army to come to his state to kill nothing less than 81 people. He capped it up by playing a part in the storming of the home of Nnamdi Kanu, the leader of Biafrans, by the Army. There, nothing less than 21 innocent, peaceful and unarmed Biafrans – including a dog – were violently murdered. Ever since then, nobody has seen Nnamdi Kanu or his parents. The Army has refused to say what they did with Kanu and his parents. Now, because Nigerian elections in Biafraland has always been a win-win for the Nigerian establishment, to the detriment of Biafra and Biafrans; every Biafran must boycott the coming November 18 Anambra elections. This is necessary for Biafrans to begin to organize their land in their own way.